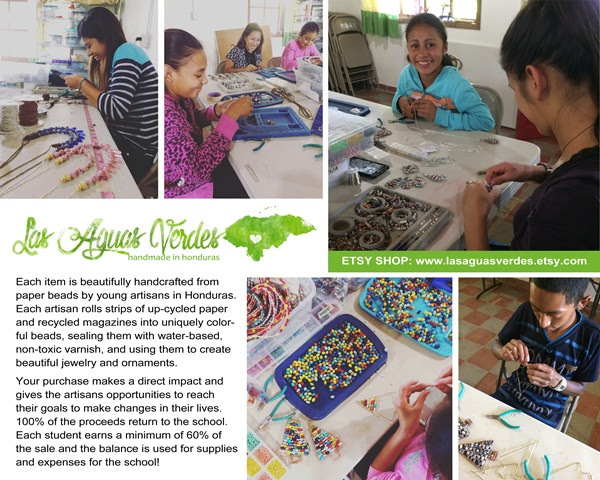 Las Aguas Verdes or “the green waters” is the on-line store for the students of Ranch Oasis for Youth’s trade school - Taller CDP (Conocimiento, Desarollo y Prosperidad). Taller CDP or “Workshop of Knowledge, Growth and Prosperity” focuses on teaching the students skills in creating and selling artisan crafts that have a “redemptive” theme. We know you will enjoy the student’s work and be blessed to learn that 100% of the proceeds return to Taller CDP and the artists. Each student earns a minimum of 60% of the sale and the balance is used for supplies and expenses for the school! Therefore, sustaining the school and honoring the students with new/fair financial resources! Our first 2017-2018 Winter collection! 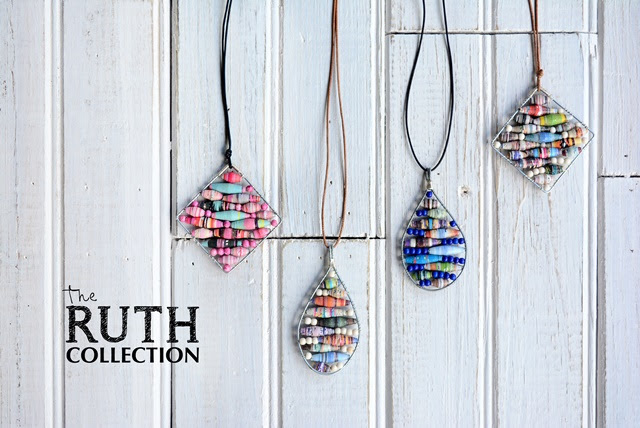 We've decided to focus on the Biblical character of Ruth and name each piece of jewelry a quality that reflects her life & testimony. We hope this special collection will encourage and empower you to be like Ruth. 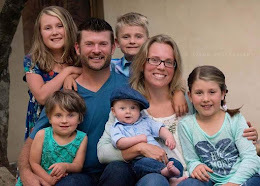 Please take the time to read through each item's description as each will weave into one another to tell Ruth's story. 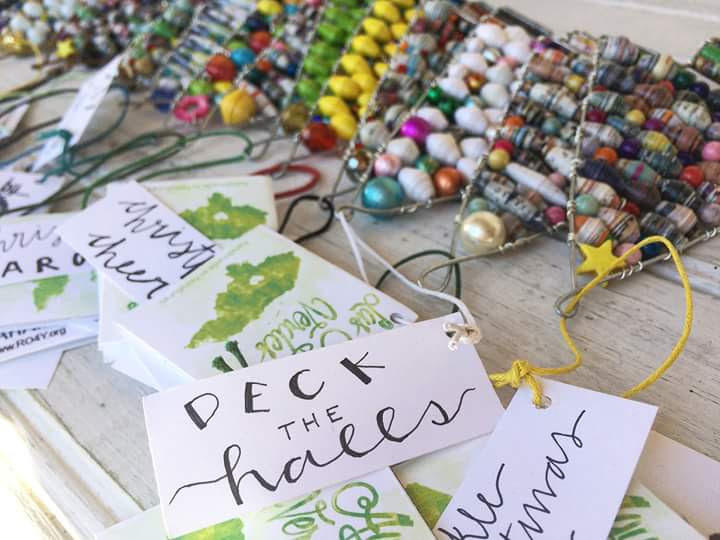 Each themed Christmas Tree ornament is handcrafted from paper beads. Our ornaments are stunning on a Christmas tree or creatively displayed on a shelf or wall. Each of the beautifully & uniquely finished ornaments come with a photograph of the artisan/student and will arrive inside a stamped gift bag with a green ribbon. 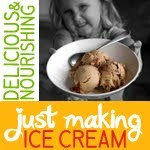 Excellent for gifting!